Born: 13 April 1870, Darling, Western Cape, South Africa. Died: 14 March 1953, Cape Town, South Africa. Robert W.N. (usually just Robert N., or R.N.) Kotze, mining engineer, was the son of Reverend Johannes Jacobus Kotze and his wife Johanna Bernardina Immens Blom. He was educated at the South African College, Cape Town, from 1887 and when he matriculated in 1888 won the college's gold medal for that year. Continuing his studies there he was awarded the degree Bachelor of Arts (BA), with honours in mathematics and natural science, by the University of the Cape of Good Hope in 1891. He won the college's gold medal for science in 1890 and its University scholarship in science the next year. After graduating he continued his studies at the mining academy in Clausthal, Germany, where he was awarded diplomas in mining and metallurgy. Upon returning to South Africa in 1895 Kotze became assistant engineer of the Transvaal Goldfields group. Within a year he was appointed as the group's consulting mining engineer and served in that capacity also to several other mining concerns. In January 1908 he accepted an appointment as government mining engineer of the Transvaal Colony, reporting on his work in the Annual Report of the Government Mining Engineer (Transvaal, 1908-1910) and in a Memorandum on the iron and steel industry (Pretoria, 1909, 14p). After the formation of the Union of South Africa in 1910 his appointment as government mining engineer of the Union, stationed in Johannesburg, was confirmed in April 1912. He held this position until October 1926. His work during this period was described in the Annual Report of the Government Mining Engineer (1911-1921). He played a major role in drafting the Mines and Works Act (No. 12 of 1911), the mining and machinery regulations of that same year, and in the amendment of legislation on silicosis (miners' phthisis). Through these and other efforts he contributed much to mine safety and the health of mine workers. In 1913 he visited Sweden and France in his official capacity and during 1916-1917 spent a year in South West Africa (now Namibia). 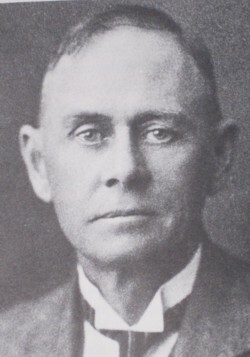 He was chairman of the Witwatersrand Aardschuddingen Komitee (Witwatersrand Earthquakes Committee), which was appointed in June 1915 and reported that the increased number of earth tremors experienced on the Witwatersrand since 1907 were caused by mining activity. The prevalence of miners' phthisis among mine workers on the Witwatersrand at this time led Kotze to investigate techniques for measuring the amount of harmful dust in mines and other industrial settings. For this purpose he developed the konimeter - an instrument used to collect, from a known volume of air, the small dust particles that cause silicosis and deposit them on a circular glass slide that can be placed under a microscope for counting. The instrument came to be used all over the world. His method was described in "A new method of dust determination" (Journal of the Chemical, Metallurgical and Mining Society of South Africa, 1923, Vol. 24, pp. 1-6). Kotze also published a "Memorandum on the Far East Rand" in the Mining Magazine (London, 1916), reported on "The Far East Rand" in the South African Mining and Engineering Journal (1926), and discussed "The future of the Witwatersrand Gold Fields" in the Mining and Industrial Magazine of Southern Africa (1927). As the chairman of a departmental committee he, with W.A. Caldecott* and A.L. Hall*, reported on the "Development of the mineral resources of the Union" in the South African Journal of Industries (1925). Many years later, with H.S.H. Donald and H.R. Hill, he wrote the Report of the committee on deep level mining (UG 18 '45, 1945, 9p, 2 maps). In 1918, in recognition of his services to mining, he was honoured by Britain as Knight Bachelor (KB) and hence received the title Sir. From 1908 to 1938 Kotze was a member of the councils of the Transvaal University College, Johannesburg (to 1910) and its successors, the South African School of Mines and Technology (1910-1920), the University College, Johannesburg (1920-1922) and the University of the Witwatersrand (1922-1938). He served as vice-chancellor of the university from 1922 to 1925, and 1937-1938. During the nineteen-twenties he was a member of the Board of Control of the South African Institute for Medical Research, and served as chairman of both the Mining Leases Board and the Electricity Control Board. In 1902 he became a member of the Chemical, Metallurgical and Mining Society of South Africa, serving as its president for 1927/28. In 1926 he was awarded the society's gold medal for his outstanding contribution to mining and his research relating to the prevention of silicosis, and in 1943 was made an honorary life member for his valuable services to the industry and to the society. He became a member of the Geological Society of South Africa in 1897, serving as joint vice-president for 1929. He joined the South African Association for the Advancement of Science shortly after its formation in 1902 and served on its council for at least 1908-1909. He belonged to both the South African Association of Engineers and the Transvaal Institute of Mechanical Engineers, two societies that amalgamated in 1910 to form the South African Institution of Engineers. In this institution he served as honorary president in 1913, and as a member of its editorial committee. His interest in astronomy is indicated by the fact that he was a foundation member of the Johannesburg Astronomical Association in 1918 and served as joint vice-president from 1918 to at least 1920. In his younger days he was an ardent chess player and during the first few years of the twentieth century served as president of the Johannesburg Chess Club. Upon his retirement in 1926 Kotze again became an independent consulting engineer. He also became a member of the boards of directors of the De Beers Company, the Johannesburg Consolidated Investment Company, and other mining houses. From 1929 to 1938 he represented Springs in the House of Assembly. The University of Cape Town conferred upon him an honorary Doctor of Science (DSc) degree in 1925, and the University of the Witwatersrand an honorary Doctor of Laws (LLD) degree in 1946. He was married to Maria Beatrice Faure, with whom he had two daughters. Council for Geoscience. Catalogue of Publications of the Geological Survey and Government Publications on the Earth Sciences (comp. R.R.M. Price). Pretoria: Council for Geoscience, 1997. Geological Society of South Africa. Transactions (and Proceedings), 1897, Vol. 2(1); 1899, Vol. 4(4); 1906, Vol. 10; 1915, Vol. 18; and 1920, Vol. 23: Lists of members. Journal of the Chemical, Metallurgical and Mining Society of South Africa, 1904/5, Vol. 5, Members; 1940, Vol. 41(1), title page, Past Presidents; 1943, Vol. 43(11 & 12), p. 161, Prodeedings at the annual general meeting. National Automated Archival Information Retrieval System (NAAIRS). http://www.national.archives.gov.za/naairs.htm Documents relating to Kotze, R.N. South African Association for the Advancement of Science. Report, 1903, 1905/6, 1908, 1910, 1918: Office bearers and lists of members. South African Institution of Engineers. Transactions, 1913, Vol. 1, office bearers, and addresses by R.N. Kotze. South African who's who, 1919/20, 1923/4, 1927/8, 1931/2, 1936, 1939, 1944, 1950. Unie van Zuid-Afrika. Rapport van het Witwatersrand Aardschuddingen Komitee, 1915. Pretoria: Goevernementsdrukkerij, 1916.